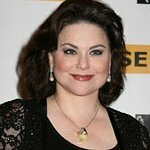 Actress Delta Burke, best known for her role as Suzanne Sugarbaker on the television sitcom Designing Women, has made a $1,500 donation to the Sandwich Women's Club – a non-profit organization dedicated to charitable, civic, and educational purposes – as a result of a canceled order due to the celebrity’s obsessive compulsive disorder. The 51-year-old actress suffers from Compulsive Hoarding Syndrome, a mental disorder that causes her to buy and collect things in an obsessive way. The disorder caused her to become addicted to purchasing large quantities of items from the QVC shopping network and eBay, and then hoard the merchandise. In January she made a large order of expensive dolls from a website belonging to Nancy Watts. Watts’ research found that Burke had made more than 700 purchases on eBay in a 30-day span. The doll collector offered to refund Burke’s money, but the offer was refused – the actress was already receiving treatment for her condition. Watts told Burke that she was sorry to hear about her illness and that she would donate the money to the Sandwich Women’s Club.